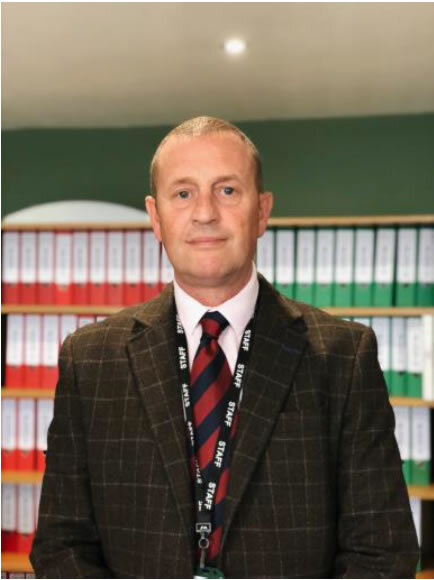 Mark Christie has a long and experienced working history which began with 20 years-service in the Royal Navy, retiring at officer-rank. He immediately began his own business working with the UK Government finding housing for asylum seekers in the South West of England. He later started his own residential letting agency, Property Links, which became the largest independent lettings agency in Plymouth. After 17 years he sold Property Links in 2014 to national company intending to retire. 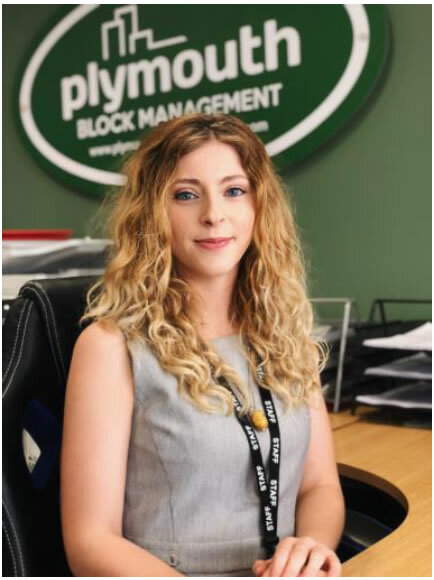 Having started Plymouth Block Management in 2012 after realising there was a large gap in the industry in the South West for a company specialising in block and estate management, he opted to continue working and has lead PBM from its humble begins with just 8 small blocks to its current size with 30+ blocks and just under 500 units. Mark is happily married to Tatiana and has recently seen his daughter graduate from University and emigrate to Canada – his son Igor is currently studying for his A-Levels and is hoping for a career in the Royal Air Force as an intelligence officer. In his spare time Mark enjoys skiing, hiking and socialising with friends and family. Mark is also an avid sailor and owns his own boat which he uses at every opportunity. Gary is an accomplished Manager who started his career in Information Technology, specialising in business development through IT. After training with Microsoft in Cape Town, South Africa for 12 months, Gary returned to the UK and began working for a Business Fulfilment company as an operations manager where he oversaw significant investment in IT systems. He later joined Taxifast, the South West’s largest taxi and professional transport firm at the time, where he managed a £1 million investment in IT, later becoming General Manager and overseeing over 450 staff and drivers on a daily basis. 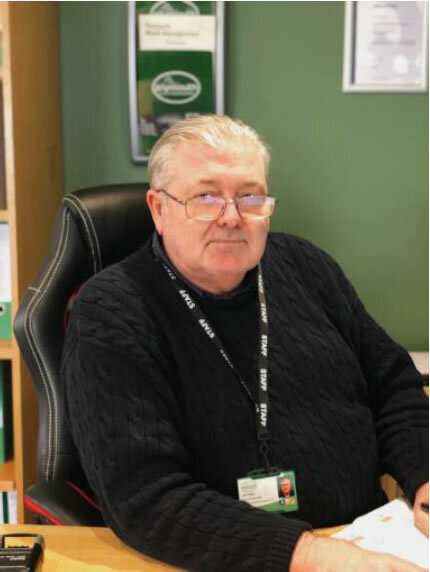 Whilst working at Taxifast he continued his professional development and trained as an auditor for the ISO 9001 Quality Management standard and the ISO 14001 Environmental Management standard – applying these new skills to the business Taxifast achieved both standards on the first attempt without any non-conformances. 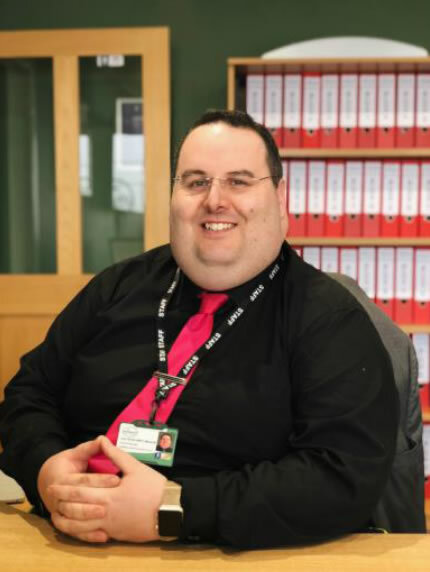 After a period working in the private sector as Business Consultant focusing on troubleshooting and crisis management for small-to-medium enterprises he joined Plymouth Block Management in 2016 in the role of General Manager with a focus on legal and compliance. Jim was born in London and joined the Royal Navy at the age of 18 where he enjoyed a 24-year career serving all over the world in various roles, including a deployment with the UN. During his Naval career he met Mark Christie and the two became best friends. After retiring from the Navy, Jim spent a number of years on Cruise Liners as a Security Officer and later as the principle Health and Safety Officer. He joined Plymouth Block Management in 2014 to fulfil the role of Accounts Manager and has played an integral role in developing the company. He currently oversees the accounts for just under 500 units. In his spare time Jim enjoys reading and online gaming as well as indulging in his passion for fine art. 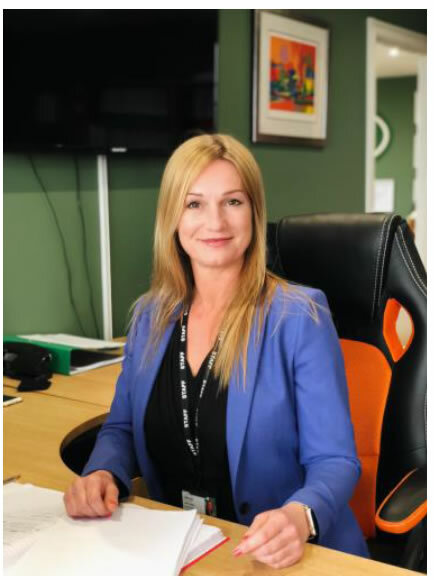 Claire Radley is an experienced property professional with a 20-year career covering all aspects of the residential property market, from residential lettings through to foreign property investments. Claire is an effective communicator and makes the day-to-day tasks of block management look easy to the unknowing observer! Claire has three children and two dogs which are the centre of her world – in her spare time she enjoys socialising with friends as well as indulging her passion for fine wines and rare cheeses. Gordon Donaldson is an active individual who enjoys a busy day where his time management skills truly come into play. Gordon began his career with 25 years service in the Army, retiring at the rank of Staff Sergeant. Gordon then moved into specialized security consultancy, where he gained a vast knowledge of relevant Health & Safety legislation and security management. 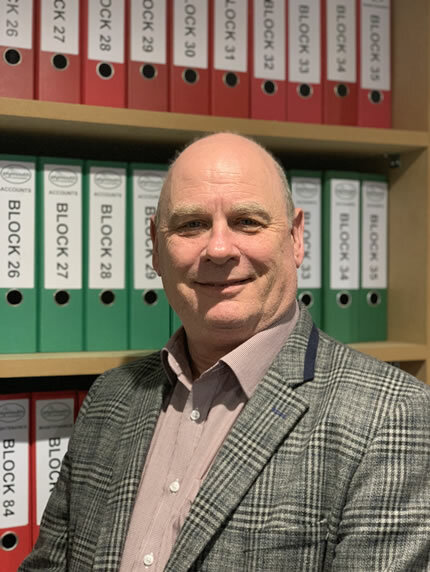 Gordon joined Plymouth Block Management as the property manager for PBM’s flagship block and is greatly appreciated by leaseholders and residents on site. In his spare time Gordon enjoys fishing and spending time with his wife. At just 22 years of age, Hannah is an accomplished administrator in the property sector. Before joining Plymouth Block Management Hannah lived and worked in France and Italy as a Team Leader at a number of large holiday resorts where she was responsible for managing a team overseeing the various properties of the resorts, managing everything from general maintenance to the in-muster and out-muster of residents. 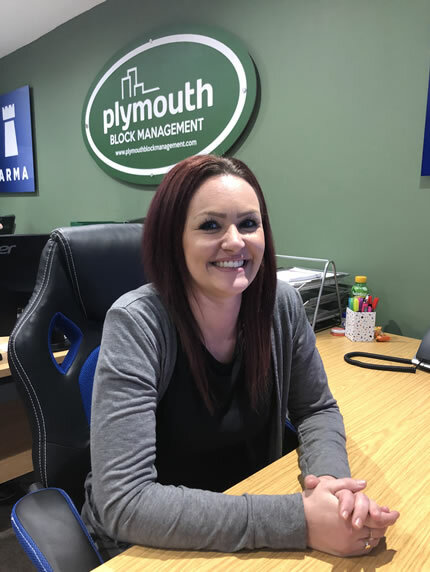 Returning to the UK and joining Plymouth Block Management, Hannah is an administration whirlwind who supports the Property and Accounts Managers with their administrative tasks. In her spare time Hannah is a keen cyclist and budding young artist. Cristina has degree in Business Administration from the Academy of Economic Studies in Bucharest, Romania. She has worked for multi-national companies in a customer service role and has recently moved to the UK. 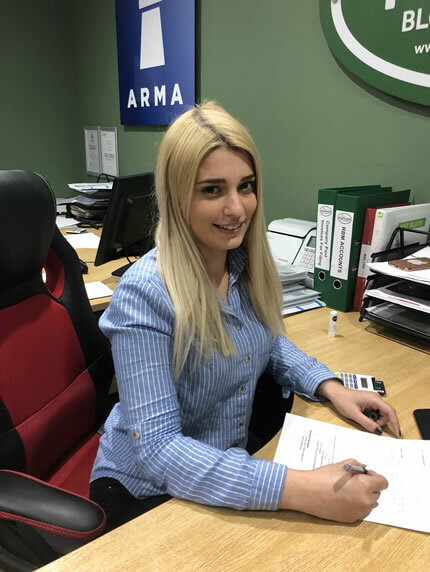 She has a passion for corporate social responsibility and has recently joined Plymouth Block Management as a Property Assistant on a two-year apprenticeship specialising in service charge accounting and asset management. Her hobbies include traveling and hiking. Amber joined the Royal Navy in 2010 at the age of 18 and served as Steward on several ships, including HMS Chatham before leaving 2014. She remained in Devonport Dockyard in the Senior rates Mess as a Steward in a civilian role. She has recently joined Plymouth Block Management on an apprenticeship covering all aspects of Residential Block Management. Her hobbies include kayaking and mountaineering.